They being germ free and non allergenic will prevent the growth of bacteria, reduces malodor and makes them easy to clean and maintain. Glowing colors of the sheeting will give a new look to your room which will enhance the grace and sophistication. 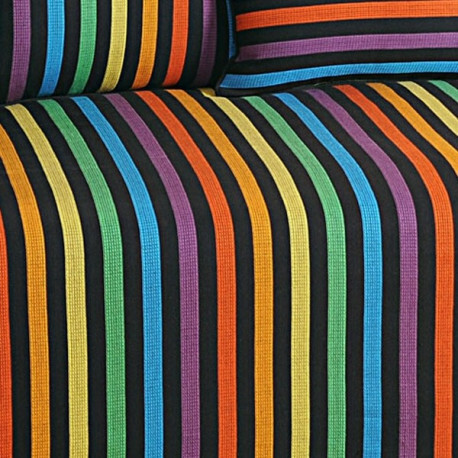 Cotton striped diwan set comes with matching cushion covers and bolsters covers. 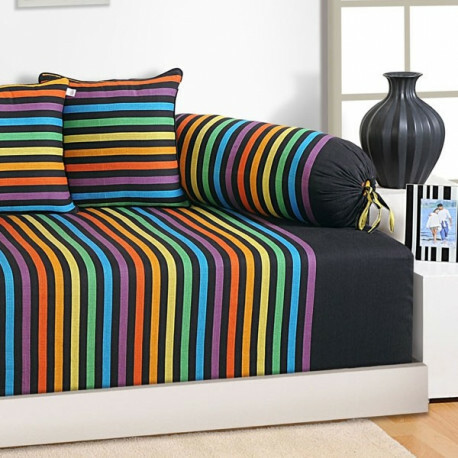 Bedazzle your home and surroundings with the colorful range of sheeting. With the soft waves of spread gently caressing you through the night it will pave your way to paradise. Keep your room updated where everything is dressed elegantly. Being a nontraditional hue it will give your abode an individuality which would stand out among the rest. So even if you organize a gathering with your friends you won’t have to worry about the sheet getting dirty and soiled. Welcome unusual hues taking over your home. Be the sophisticated urbanite with the vibrant black linea diwan set. Add levels to your décor which will enhance and embellish your home with the stunning tinges. You can have a romantic setting for yourself with the opulence of black and other colors, with candles and some flowers. It will also boost the beauty and bring out the best of the sheeting. Let the colors take you over with elegance and worldliness. Oozing out the charm and pleasure they can be bought at reasonable pricing. You can pay via credit cards, demand drafts or you can also avail the facility of cash on delivery. 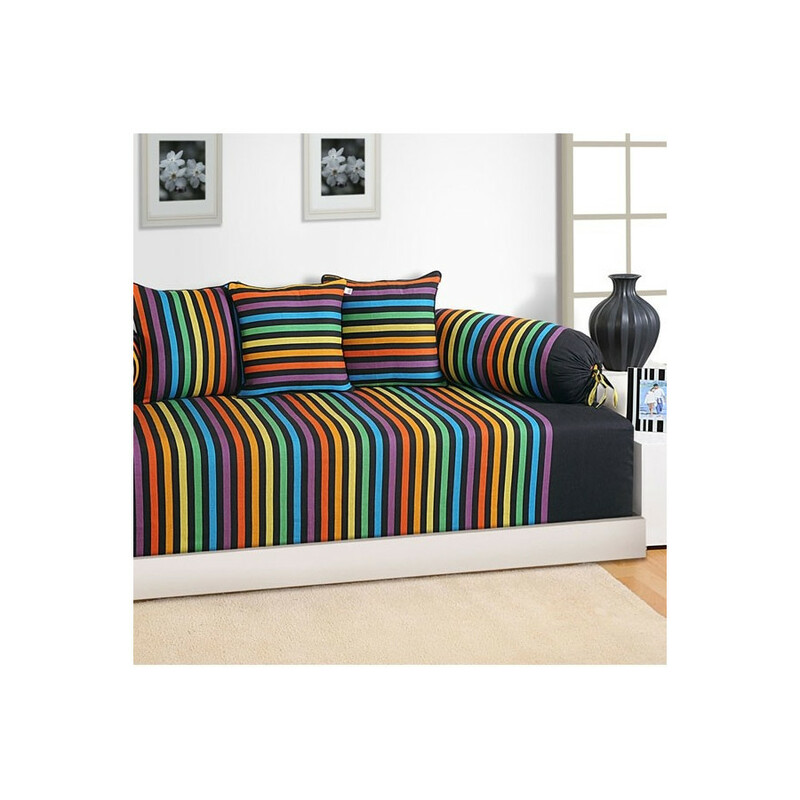 Cotton striped diwan set are high in thread count so it will easily go on with the high quality and finesse. Being colorfast it will hold on to richness and shine. It will put a stop to bleeding of the colors when they are washed. Buy vibrant black linea diwan set from swayamindia.com which will pass on your home with timeless elegance. Sumptuous spreads will marvelously decorate your home maintaining the minimalistic look. With steadfast services you can receive a timely delivery from the portal. Wash them in the washing machine with cold water. Just hang them up in shade for drying this will retain the lively colors.